The seventh chapter of the Book of Genesis describes how God caused it to rain in order to submerge the earth and annihilate all who lived in sin. 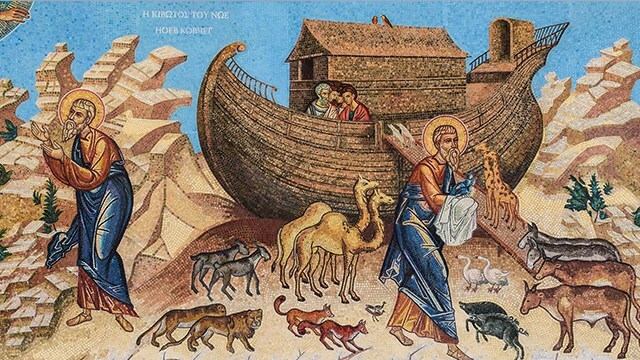 Only righteous Noah, who heeded God’s warning, was able to save himself, his family and specimens of all living creatures from the Flood by building an ark. Whilst scholars generally agree that the Genesis flood narrative is based on sources from the Babylonian-Assyrian region (written down sometime in the seventh or sixth century BC) the seeming similarities between this and other Great Flood stories are harder to explain.1Genzmer, Herbert and Hellenbrand, Ulrich. Myths and Mysteries of the World: Unexplained Wonders and Mysterious Phenomena. 2007. p.114. Noah and his ark: A universal tale? According to current research, more than 250 flood accounts have been assembled from cultures all over the world. Usually sent by a deity or group of deities, a Great Flood is often recorded as an act of divine retribution for the shortcomings of mankind. Such a Great Flood is recorded in the Epic of Gilgamesh. 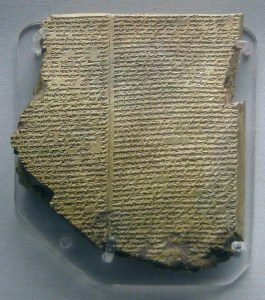 The poem, which is considered to be the oldest known great work of literature, details the trials of the legendary demigod Gilgamesh, who, if he existed, was probably a Sumerian king who reigned sometime between 2800 and 2500 BC. 2Dalley, Stephanie. Myths from Mesopotamia (Revised ed.). 2000. p. 40. Towards the end of his journey to divinity, Gilgamesh met with Utnapishtim, a wise man who had survived an unimaginable flood. His survival, it is told, was due to divine intervention. Utnapishtim had been tasked by the ocean god, Enki, to build a great ark where he, his wife and family, along with the craftsmen of his village, baby animals and grains, would survive the cataclysmic deluge. 3Rosenberg, Donna. World Mythology: An Anthology of the Great Myths and Epics. 1994. pp. 196–200. After twelve days on the water, Utnapishtim opened the hatch of his ship to look around and saw the slopes of Mount Nisir, where he rested his ship. Further accounts of a Great Flood appear in Hindu mythology. Vishnu is said to have appeared in the form of his Fish God avatar so as to warn the first man, Manu, of an impending catastrophic flood. Vishnu ordered Manu to collect all the grains of the world and build a giant boat. In some forms of the story, all living creatures are also to be preserved in the boat. In his fish form, Vishnu guided Manu’s boat to the safety of the high grounds of the northern mountains, which have been interpreted as the Himalayas. Amongst Celtic tradition, there is yet another similar story. Heaven and Earth are described as having been two great giants. Heaven was said to have lay upon the Earth, smothering its people in darkness. A group of brothers, unhappy with this darkness, cut Heaven into many pieces. Heaven’s spilling blood was said to have caused a great flood, of such magnitude that all humans, except for a single pair, were killed. The two who survived the deluge did so because of the benevolence of a Titan, who provided them with a ship. 4Sproul, Barbara C. Primal Myths. 1979. pp.172-173. Pictorial records of ancient Incan rulers show that a flood rose above the highest mountains. 5Bierhorst, John. The Mythology of South America. 1988. pp. 200-202. The god, Paricia, was said to have sent a great flood to kill humans who did not respect him. Different variants of this story exist. In one, all created things perished, except for a man and woman who floated in a box. 6Bierhorst, John. The Mythology of South America. 1988. pp. 200-202. In another, those who lived in the highlands of the Andes mountains survived, as they were not given over to evil. 7 Inca Mythology. 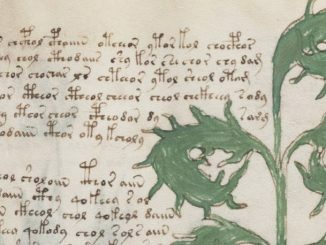 MythEncyclopedia.com. Retrieved 03/04/2017. In Greek mythology, Zeus was so angered by the constant war-making of the Bronze race of Humans that he unleashed a great flood as punishment. Knowing that these waters would wipe out humanity, the Titan Prometheus told the secret to his earthly son, Deucalion, advising him to build an ark. After 9 nights and days, the water began to recede, and the ark settled on Mount Parnassus. Flood stories are also found in Norse mythology, in the lore of the Maya peoples, in the traditions of some tribes of Native Americans in North America and the Aboriginal tribes in southern Australia. Interestingly, such deluge narratives often represent a marker in history for the civilisations which recorded them. For the Greek’s, Zeus’ flood brought the Bronze Age of Man to an end. In ancient Mesopotamia, the Sumerian King List is divided into those who ruled before the flood and after the flood. 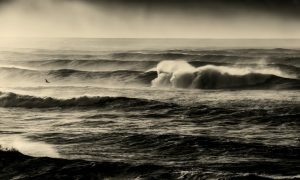 In the Christian Bible and Hebrew Torah, the period from the Creation to the destruction of all life on earth except for those saved by Noah is defined as the Antediluvian period – literally meaning “before the deluge”. What does science say about the Great Flood? Whilst scientists are in agreement that an earth-encircling flood could not have possibly taken place, being incompatible with modern understanding of natural history and geology8Genzmer, Herbert and Hellenbrand, Ulrich. Myths and Mysteries of the World: Unexplained Wonders and Mysterious Phenomena. 2007. p.114., no one can agree on how so many diverse cultures share similar stories of a cataclysmic flood. A further bizarre element of the Great Flood narratives is the alleged difference in lifespan of those who lived before and after the deluge. In the Book of Genesis, Noah is said to have been six hundred years old when the flood waters were sent to earth. Bizarrely, enormous lifespans are associated with the preflood kings of the Sumeria as well, with postflood lifespans being much reduced. Scholars have attempted to individually explain various flood myths. The Sumerian narratives, for example, are argued to have been the result of localised flooding in what is now modern-day Iraq. Within a few months of one another during the 1928-1929 excavation season, archaeologists at two southern Mesopotamian sites, Ur and Kish, announced the discovery of flood deposits which they identified with the Great Flood described in both Sumerian sources and the Hebrew scriptures.9MacDonald, David. “The Flood: Mesopotamian Archaeological Evidence”, in Creation Evolution Journal. Volume 8. Spring. 1988. pp.14-20. In the decades which followed, enough evidence was uncovered to more confidently conclude the dramatic scale of the flood. Evidence of flooding was found at the sites of numerous ancient Sumerian cities. 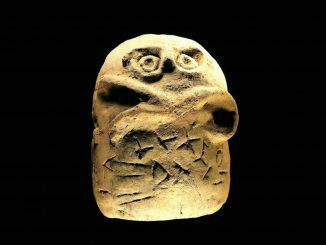 A layer of river sediments, which interrupted the continuity of known settlements, was radiocarbon dated to around 2900 BC, roughly concurring with the estimations of Gilgamesh’s supposed encounter with the flood survivor, Utnapishtim. However, some experts dispute the claim that this is evidence of the Flood described in Genesis and other texts. In 1993, the Russian research ship Aquanaut found remains of freshwater plants in the Black Sea.10Genzmer, Herbert and Hellenbrand, Ulrich. Myths and Mysteries of the World: Unexplained Wonders and Mysterious Phenomena. 2007. p.114. An international team of geologists and oceanographers, including the man who located the wreck of the Titanic, were sent to investigate further. Traces of a former shoreline were discovered, suggesting an abrupt 500-foot rise in water levels in perhaps less than a year. The Black Sea’s former shorelines, and those who inhabited them, would have been wholly submerged, as sea water cascaded in from the Aegean Sea. 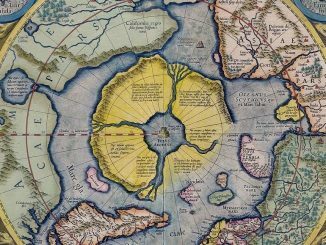 More than 60,000 square miles of land were swallowed up, at an approximate rate of half a mile to a mile a day. Whilst the exact rate of submersion is highly contentious, it has been proposed that titanic torrents of water must have poured into the Black Sea at a rate some 400 times that of Niagara Falls.11Noble Wilford, John. “Geologists Link Black Sea Deluge To Farming’s Rise”. New York Times. 17th December 1996. Retrieved 03/04/2017. Naturally, one can see how such a catastrophe could have been recorded as a consequence of divine wrath. Radiocarbon dating of the Black Sea’s transition from freshwater to marine organisms put the time of this event about 7,500 years ago, or 5500 B.C.12Noble Wilford, John. “Geologists Link Black Sea Deluge To Farming’s Rise”. New York Times. 17th December 1996. Retrieved 03/04/2017. Those involved in the research at the time presented the possibility that the traumatic, collective memory of the Black Sea flood could have inspired the Epic of Gilgamesh in the centuries which followed. However, a leading authority on Gilgamesh at the time, Dr. Stephanie Dalley, was quick to dismiss this claim, highlighting the wide separation of the two in geography and time.13Noble Wilford, John. “Geologists Link Black Sea Deluge To Farming’s Rise”. New York Times. 17th December 1996. Retrieved 03/04/2017. Others have suggested that the Black Sea flood of 5500 BC is evidence of the Biblical flood itself. Despite the involvement of some of the greatest international minds, no one has been able to agree upon a conclusion. And, even if the Black Sea deluge hypothesis is correct, and the flood is the one described in the Book of Genesis, how is it that the indigenous peoples of North and South America and Australia, as well as others besides, knew of it? Even after many years of investigation, so many unanswered questions remain.